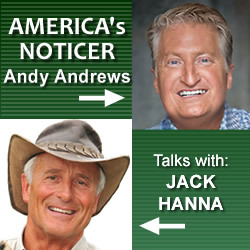 You know Jack Hanna from his almost constant appearances on national television. His knowledge of animals is almost equal to his love for them. In addition, Jack’s obvious good nature and grateful spirit have endeared him to millions of families around the world. Personally, I have known Jack for 26 years and in all that time I have not found an ounce of pretense in the man. In real life, Jack is the same “amazed at everything” awesome guy you see on TV. Curiously, Jack and I can go long stretches of time without talking, but when we get together, it’s like we see each other every day. Here is a tiny portion of the nearly hour-long conversation we had recently! 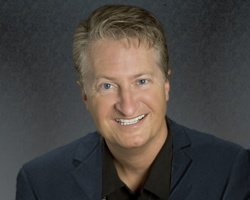 ANDY ANDREWS: Hey, Jack! 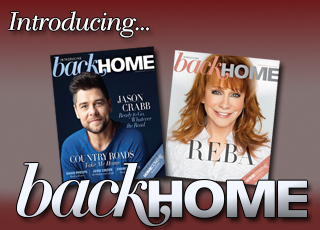 I’m curious … as your life and career have progressed, how do you classify yourself? What do you say you are? 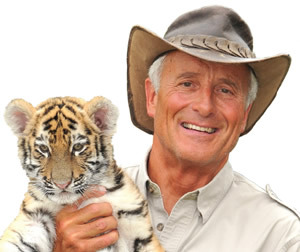 JACK HANNA: First of all, not as a celebrity. I’ve never sought that. Obviously though, as long as you and I have known each other, with all these TV shows I do, things have changed in my life. But I don’t have agents. I make all my own decisions. Hmmm… I would say that I am an ambassador to the animal world. Or maybe an ambassador to the people and animal world. ANDY: That’s good. Knowing you, and a bit about your mind and heart, I think that’s an extremely accurate representation of who you are. JACK: I suppose I’d say that I’m an ambassador to people and animals because I kind of think whatever happens to the animals will eventually happen to us. JACK: That said, however, don’t get me wrong — I’m not a “tree hugger.” I eat hamburgers. I wear leather shoes. I’m a normal person. I’m not anti-hunting. I am into good conservation, and hunters are the best conservationists in the world. ed with animals, it is refreshing to hear you say that. JACK: Anyway, I know the Lord blessed me with a love for animals and an understanding of them. In 1969, I graduated from college and started zookeeping in Knoxville, Tennessee, and then just worked my way up to everything else — to being the CEO and Director of the largest zoo in North America, the Columbus Zoo in Columbus, Ohio. When I went there, the total attendance in a year was just over 180,000. This year, we had 500,000 visitors in June alone. JACK: Yeah, it all started years ago with “Good Morning America” and the twin gorillas. Patty Neger came to film at the zoo, and then they invited me to be on the show. I took a pelican and … well, heck, maybe I took a gerbil. I can’t remember what I took, but everything progressed from there. ANDY: Jack, if you could have a phone conversation with your 18-year-old self, what advice would you give? JACK: Yeah, I’m fortunate. I know that working, for me, now, is mainly a lot of talking. I’ve always been able to talk. You know, I’ll talk to a stick on the street.